Some of us give shows to small groups or are part of a film group such as 9-5 North Group. 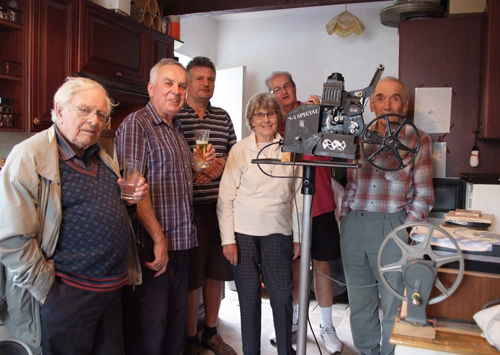 Here is a snap with a few of us around a Pathe Vox sound projector at one afternoon event. Post your 9.5mm photo snaps here. Good health and best wishes to you all. A snap from the 9-5 International film fest in 2016. 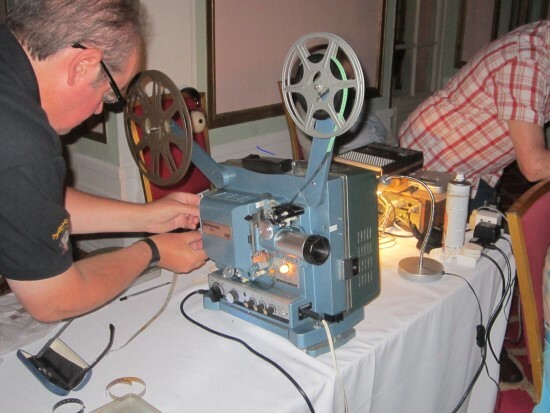 It was a really nice friendly event but I landed the projectionists job which was not easy with some magnetic sound films having stripe on one edge then the opposite side, sure was a challenge. You did a good job with the film projection. Thanks Maurice and Christmas wishes to you. Can I also add how much I enjoyed your company Maurice at the dinner and throughout the event. I obviously missed this photo though . 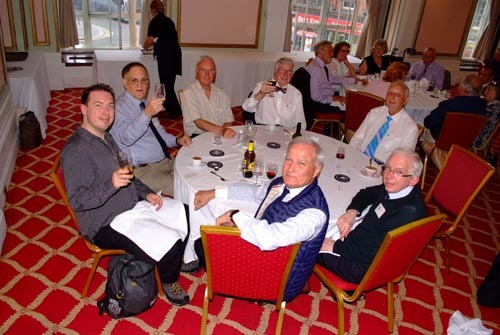 It was great to talk with fellow collectors, although I'm afraid that I could not persuade John Shearsmith to re-publish his great magazine, "Amateur Cine Enthusiast". Always worth a try Graham. 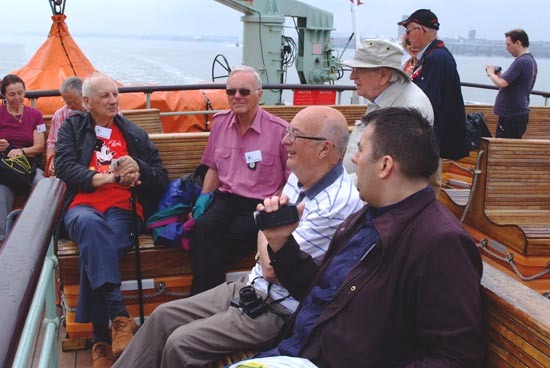 Anyway here is another snap from the 9-5 Festival as we set sail over the Mersey. Hope to make Pimlico this time round. Glad to hear you are now better, Lee. I am on left, wearing Mickey Mouse tee-shirt. I'll see what I can add later. Just found this photo of the Buckingham 9.5 projector used. Nice to finally see a picture of you Maurice.